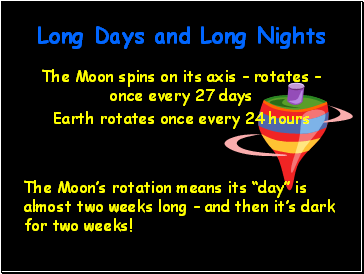 The Moon’s rotation means its “day” is almost two weeks long – and then it’s dark for two weeks! 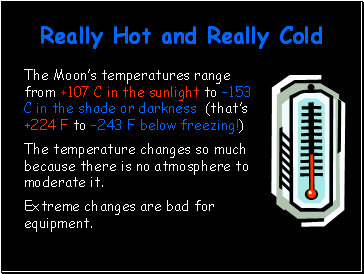 The temperature changes so much because there is no atmosphere to moderate it. Extreme changes are bad for equipment. 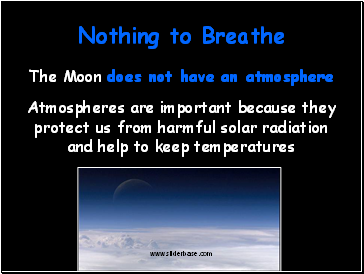 There is no liquid water on the Moon. 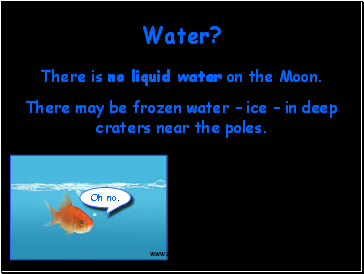 There may be frozen water – ice – in deep craters near the poles. 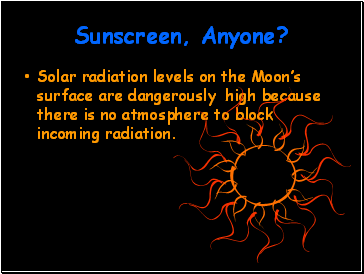 Solar radiation levels on the Moon’s surface are dangerously high because there is no atmosphere to block incoming radiation. 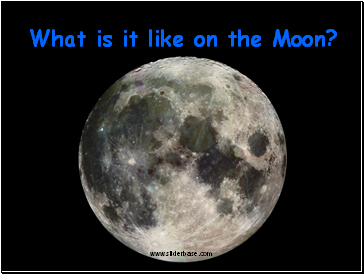 The Moon is smaller than Earth, but because it has mass, it DOES HAVE GRAVITY! 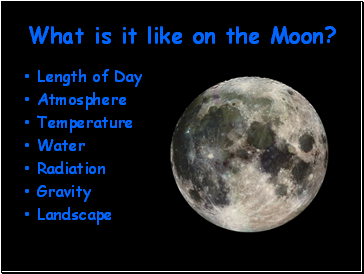 The Moon’s gravity is ~1/6 of Earth’s. 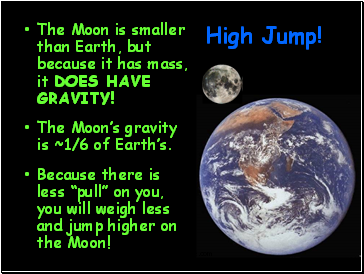 Because there is less “pull” on you, you will weigh less and jump higher on the Moon! 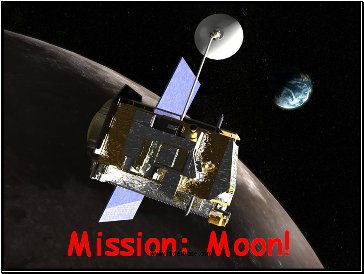 The Moon’s rocks have been pulverized into a fine powder by continuous asteroid impacts. 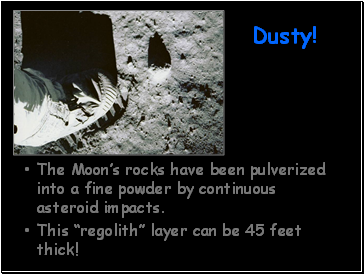 This “regolith” layer can be 45 feet thick! Bright, heavily cratered, Lunar Highlands – terrae. Mostly plagioclase rocks that are about four and a half billion years old! 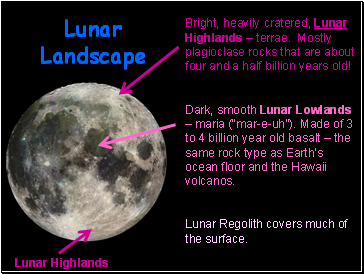 Dark, smooth Lunar Lowlands – maria (“mar-e-uh”). Made of 3 to 4 billion year old basalt – the same rock type as Earth’s ocean floor and the Hawaii volcanos.